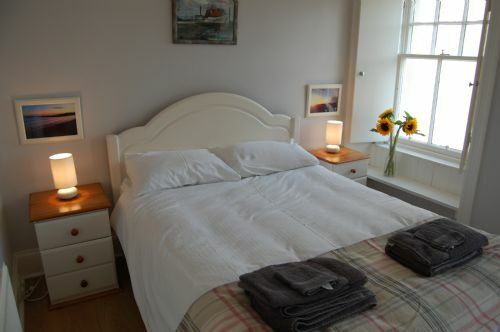 250 year old former Fisherman`s cottage recently refurbished to an exacting standard to provide you with a high level of comfort for your stay. 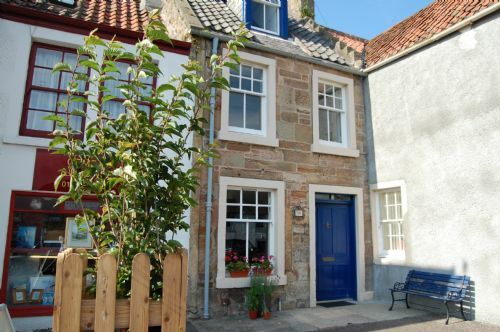 Situated in the heart of Crail within easy reach of all amenities and just 300 metres from the harbour and beach (pictured). The cottage has wireless internet. 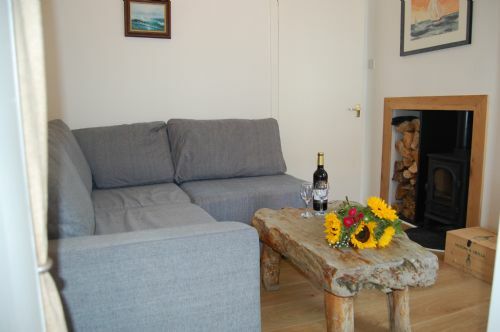 Neuk Hoose is an extremely cosy and intimate house with character by the bucket load. As well as gas central heating there is a wood burner in the snug / sitting room for chilly nights, and a bench seat outside to enjoy a morning cuppa in the sunshine. Complimentary bottle of wine (weekly bookings) and starter tea and coffee pack provided. You can also take advantage of the owner`s own catering service whereby freshly made food can be pre-ordered for your arrival for an extra charge (contact office for details). A well behaved dog is permitted (limited to the ground floor) surcharge applies. SUITABILITY NOTE:- The cottage is on three levels, separated by a wooden staircase - this is, therefore, unsuitable for those with mobility problems or adventurous toddlers.